exists and, left to its own devices, can cause serious problems and even catastrophic consequences. domestic product, with 3.2 percent for 2001 versus 4.2 percent for the 1975 study. internationally as a company with world-class facility engineering, maintenance and workplace safety. maintained by fewer personnel, and funded by reduced budgets. maintenance. Let’s examine what can be done to reduce the risks. to any real degree. Because moisture can take many forms, it can find numerous ways to get under an insulation system. spray as bad as or worse than any rainstorm. 200 F and 240 F. In this range, there is plenty of heat energy but not enough heat to efficienty evaporate moisture before it contacts the equipment surface. a likely spot for future corrosion. coating and in part because they were going to operate above 200 F and it was thought that any water would just evaporate. 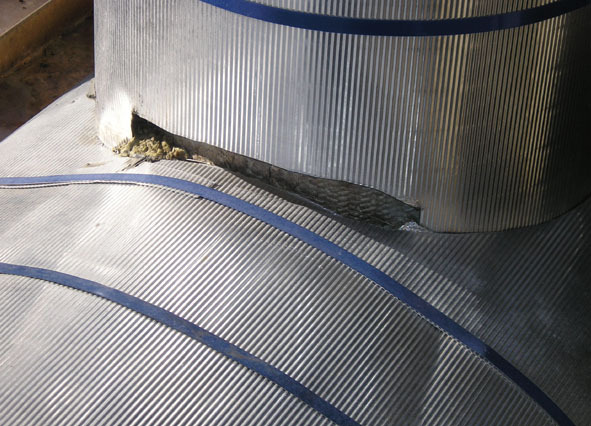 boiler feed water treatment plant when leaks revealed extensive CUI damage. problems arise, including CUI. The following are examples of design and specification failures. hundreds of thousands of dollars for repair. valves in the unit to help prevent freezing of the water in the lines during the cold winters of the Northeast. the problem without the extensive cost and downtime of replacing all those valves. 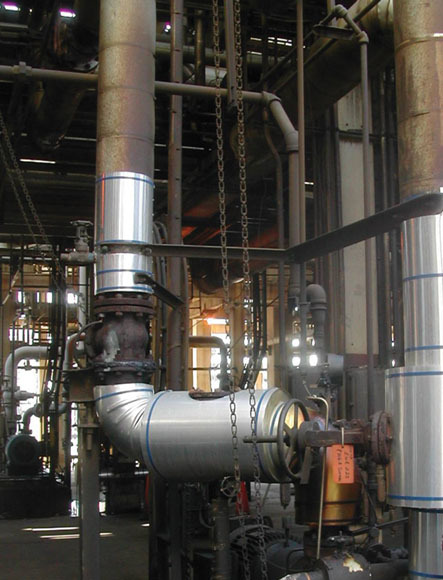 specification, be sure to consider the need for and proper type of protective coating for the piping or equipment. 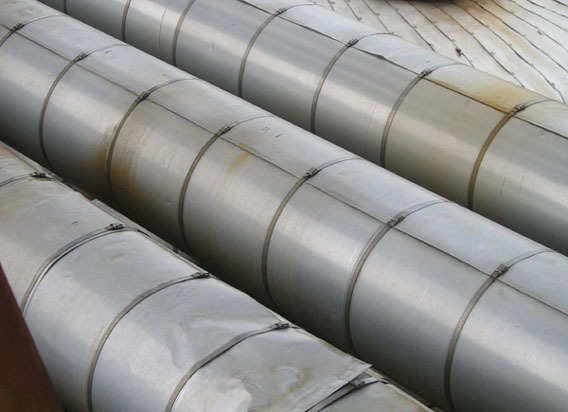 insulation design and specification as much as improper or poor quality installation. start of CUI. Let’s look at some examples. the chance of a leak. 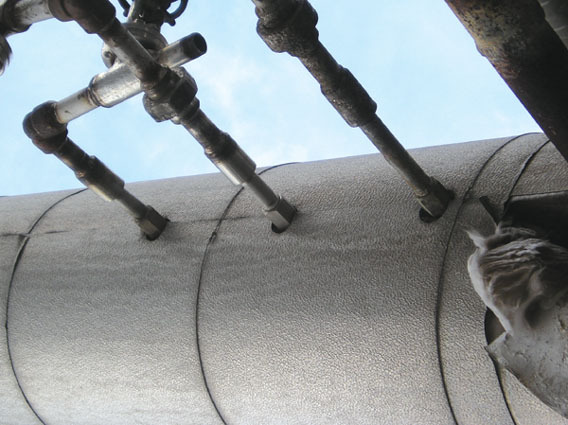 between these parts will cause the sealants to fail prematurely, letting moisture and contaminates into the insulation. 8) are almost as bad as having no end cap at all. 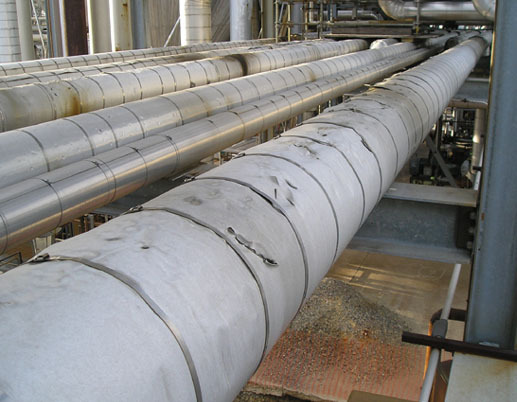 vapor retarder, creating dozens of places for water vapor to leak into the insulation system. covering simply means the insulation gets installed wet right from the beginning. Finally, if design/specification and install craftsmanship issues do not create CUI problems, maintenance problems can. 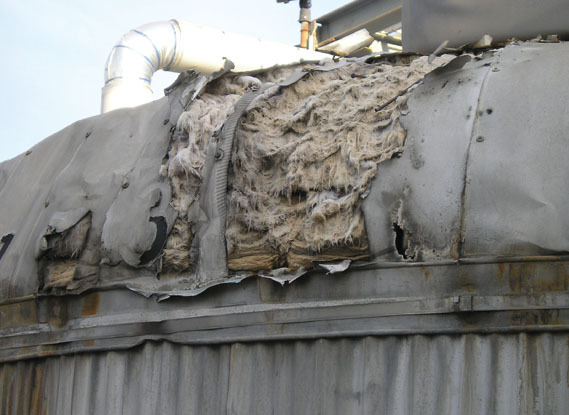 replaced until whole sections of the insulation systems have been soaked or contaminated with corrosive chemicals. Sometimes it is a case of not looking for the signs early enough or recognizing what the early signs of CUI look like. 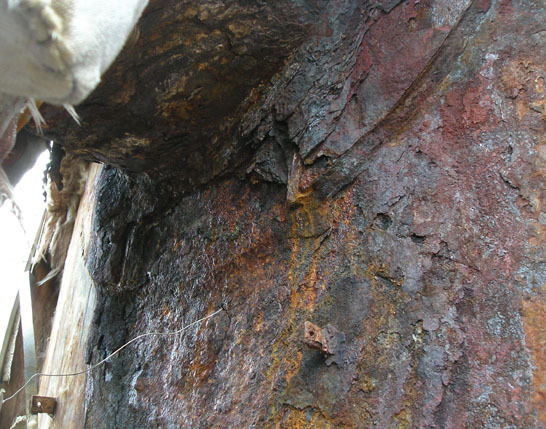 had any “problems” because they had not had any equipment failures from the corrosion yet. 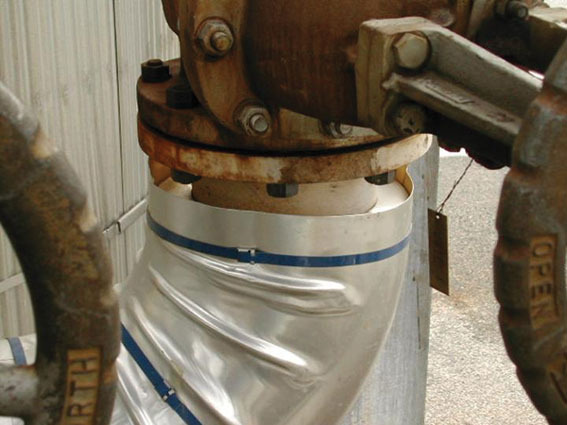 patching the insulation or properly installing inspection ports (figure 11). 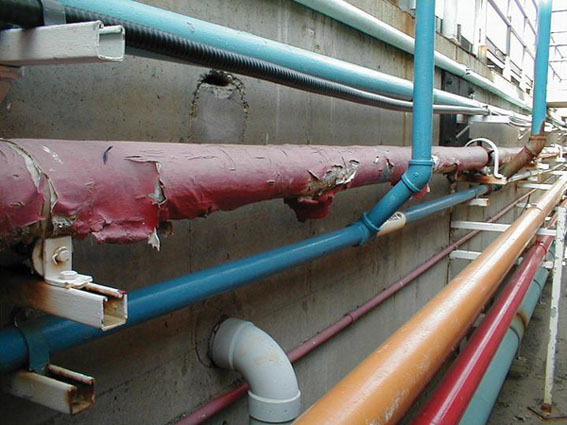 signs that CUI might be happening under the insulation system. 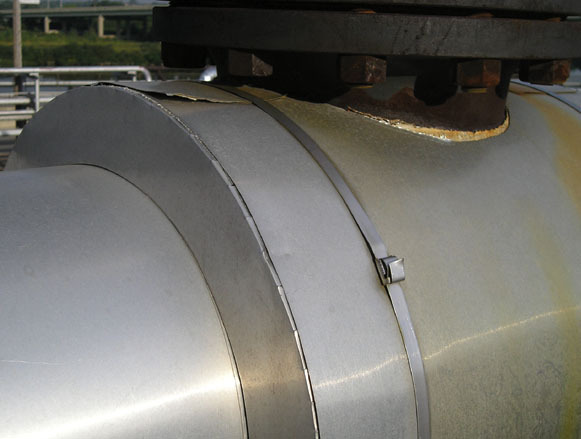 contamination and corrosion, including the resealing of inspection ports. Performing insulation maintenance promptly so that CUI can not get a foothold in a facility.